Riot Games love playing around with new modes for their incredible popular MOBA, League of Legends. The latest of these experiments gives an incredible amount of power to your opponents, allowing them to dictate how the match begins. It’s meant to be a fun alternative to professional play, but unsurprisingly it’s a bit of a mess. Nemesis Draft is a bit different to traditional drafts in one crucial way; instead of picking your own champions, your enemies are doing that for you. Each team is allowed to ban three champions each, after which your enemies select five characters for you and your team to deal with. As you can imagine, this should lead to some interesting drafts. You could have an entirely AP dependent team, which leaves your opponents just needed to build armor. Or you could throw five melee champions at your opponents. What about a team full of jungles? 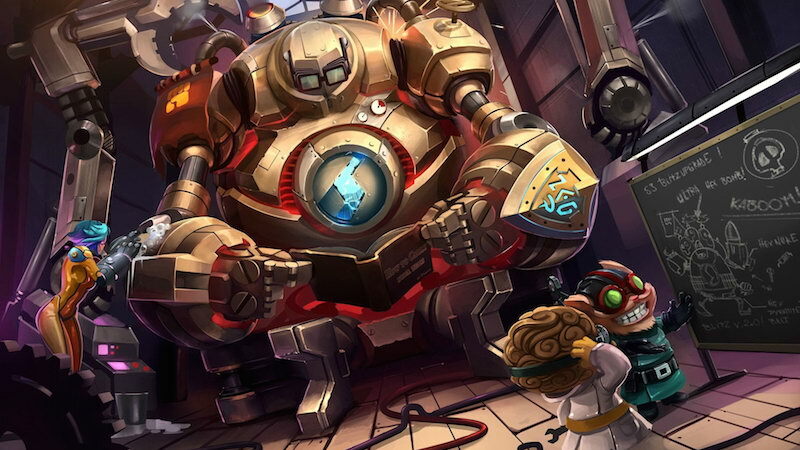 There’s a lot devious combinations on offer, and Riot was hoping that players would grab this new mode with both playful hands. As expected, that’s not the case. Riot is already getting reports of grieving players in nemesis Draft. In some cases players simply abandon games where they get terrible picks, while others intentionally screw their own team by sending overly powerful Champions to opponents. This is already making nemesis Draft an undesirable match, which is sad considering how fun it sounds with the right crowd. The mode is still in beta, but it seems Riot has a lot of thinking to do about the life of the mode. It seems like an awesome idea for a group of ten friends to mess with each other, so I hope it at least stays around just for that. Previous article Fox considering more 24, but without Jack Bauer!